The World Curry Festival is back for its fourth year. 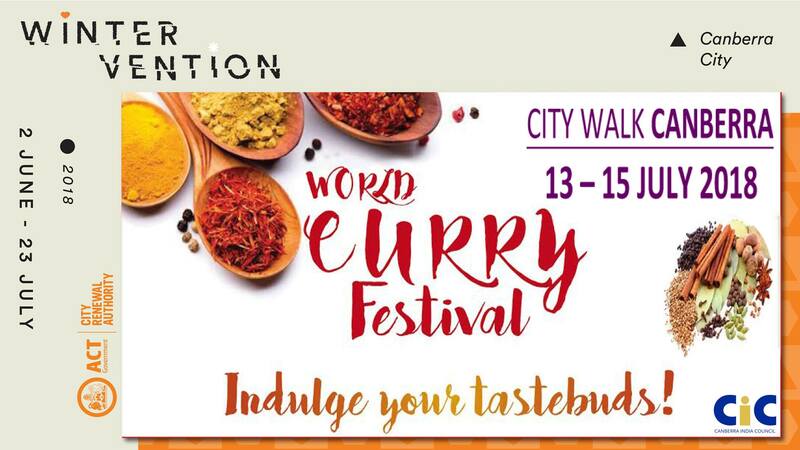 Supported by the City Renewal Authority as part of its Wintervention program, the World Curry Festival will dish out a wide variety of curries and cultural performances as well its traditional chilli eating competition. To apply to be part of the chilli eating competition, held at 1pm on both Saturday and Sunday, click here. The World Curry Festival is funded through the City Centre Marketing and Improvement Levy, a fee paid by property owners in the city centre. The World Curry Festival returns to City Walk this weekend to take you on a spicy culinary tour. Supported by the City Renewal Authority as part of its Wintervention program, the festival will dish out a wide variety of curries and cultural performances as well as a chilli eating competition. City Renewal Authority Chief Executive Malcolm Snow said the World Curry Festival is one of the Wintervention program highlights. “Now in its fourth year, we expect the World Curry Festival will again attract a large crowd to the city. “Canberrans and visitors can head to City Walk and immerse themselves in the smells and tastes of authentic curries. “It’s great to see local stall holders accepting the challenge of serving their own take on curries, which originate from India, Tibet and Ethiopia. There is something to tempt everyone at this year’s event,” Mr Snow said. Event organiser, Deepak Raj from the Canberra India Council has an exciting program of entertainment lined up to accompany the array of warming dishes. Visitors to the World Curry Festival will also be treated to cultural performances from Bollywood dancers, the African orchestra and even a flash mob. The always popular chilli eating competition will be held at 1pm on Saturday and Sunday. While feasting on your curries, you can also celebrate the fun of winter with an ice skating rink, ice slide, theatre shows, winter forest, fire performances, lantern making workshops and live music in Garema Place, as part of Wintervention. “This weekend is a chance to put on the woolies, catch up with friends and be part of the community in the heart of our city,” Mr Snow said.